Plastik at Mystic Realms Faire 2014! So amazing. This event is truly phenomenal and so many awesome designers have really done such an amazing job. Two new releases for Mystic Realms Faire! Months in the making, tweak after tweak, adding life to the oldest species of all in the purest form, the Chrysophylax Horns. These horns feature a gorgeous, smooth ribbed horn style in a spiral, making a fantastic perch for your new dragonling. These horns come with a left and right dragon horn as well as a left and right bare horn to wear unevenly or evenly. the Dragon comes with a basic hud in which you can change the colors from 6 basic presets. There are two other customizations available sold separately, that have 35 different color/patterned variants. The dragon is also available sold separately in a RIGGED, scripted chest/shoulder option in Large and Small sizes. Be one of the dragon-owning elite with these gorgeous, unrigged, modifyable horns. The Kyrra skins are fantastic, deep, gorgeously shaded multitonal fantasy skins, themed around Kirins and Harpies. There are 30 tones to choose from in every color you could possibly want, and feature a skin with 5 different head makeups. 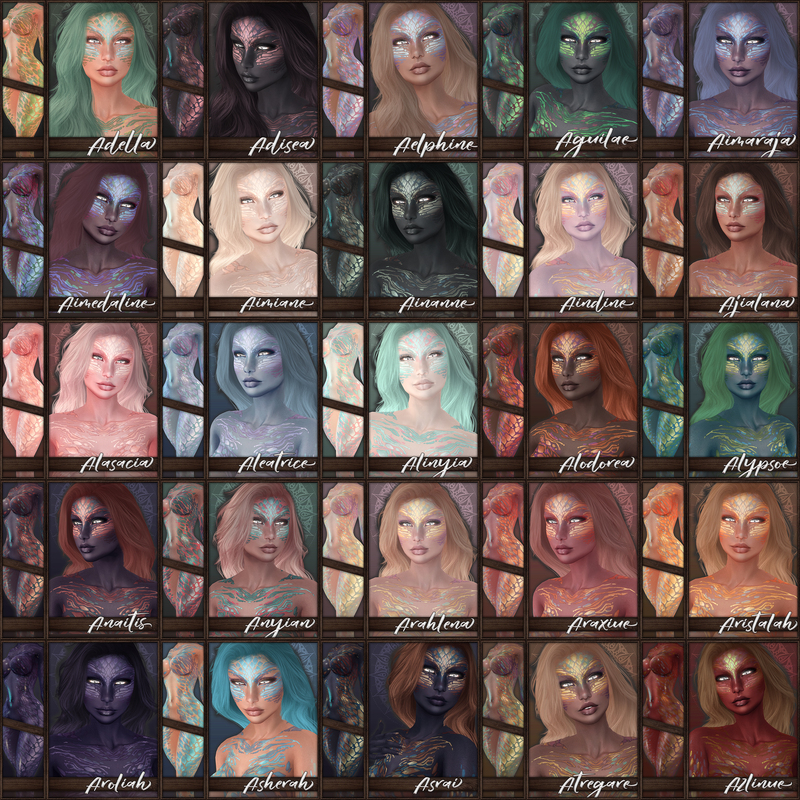 Ranging from dark occult tones, to light, airy mystical hues, These skins feature full-body lightly shaded scaling as well as gorgeous, preened patches of fur. With details from the chest, to the toes, no spot has been left undecorated and these skins are intensely ornate. The skins and appliers are sold separately. Slink Physique Mesh full-body appliers. 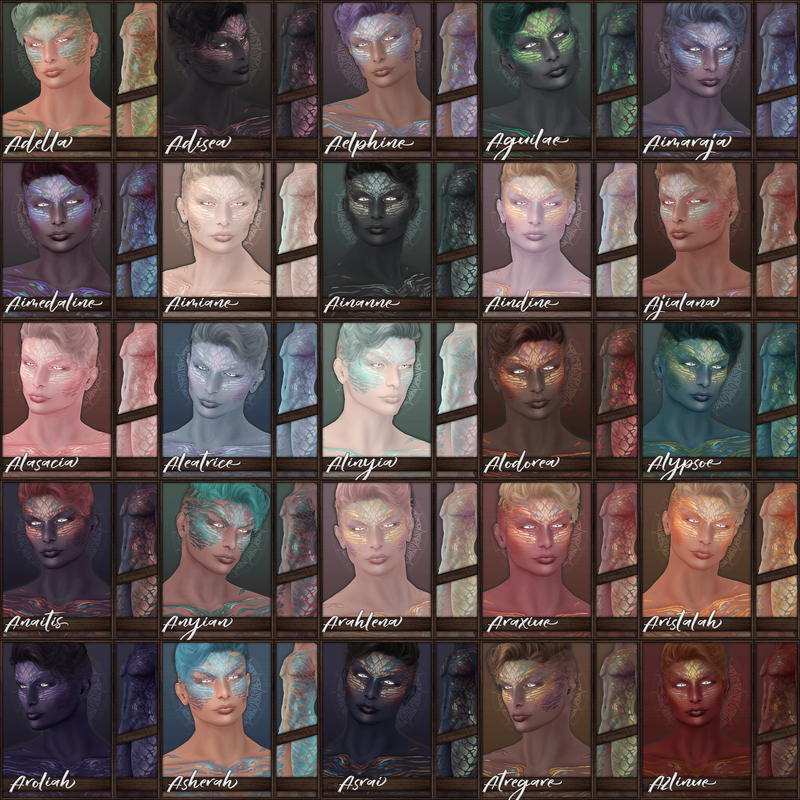 Everything you could ever need to start your gorgeous fantasy roleplaying avatar all in one place.